FK: It is high time to think about justice differently. It's not just sitting in a room and blaming people; lawyers, bench officers, judges, infrastructure or anything or anyone else. We are at such a stage where we need to think how we can solve legal problems differently. We need to think about justice system, legal aid, and hybrid justice models. 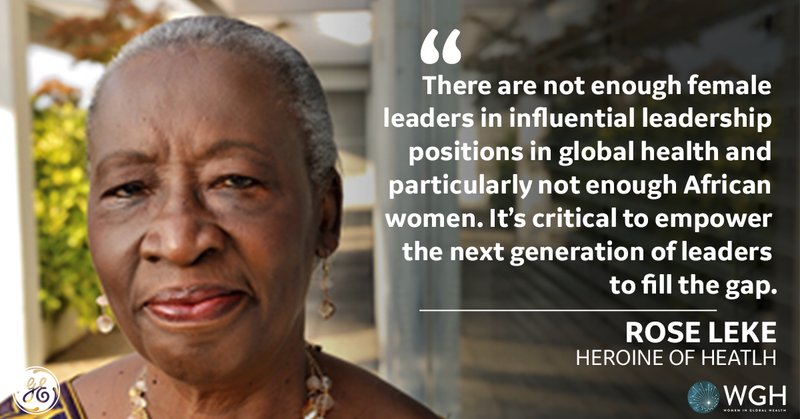 At the World Health Assembly this year, GE Healthcare and Women in Global Health, a movement that strives for greater gender equality in global health leadership, are joining forces to honor and celebrate women in global health. 2018 Heroines of Health, Professor Sabina Faiz Rashid and Professor Malabika Sarker are being honored this year for their work with vulnerable populations in Bangladesh. Both have strong academic backgrounds; Sabina is the first female Dean of the BRAC James P Grant School of Public Health, appointed in 2013, and Malabika is the first female Director of Research. Their partnership and collaboration is key to their leadership and is inspiring the next generation of global health workers. Their research has offered the world invaluable learning on topics such as community health workers, sexual and reproductive health, non-communicable disease, urban health, health systems, HIV – and beyond. Tell us more about the work that you do with your organizations. Sabina: I head the BRAC School of Public Health in Bangladesh. We have transformed our Masters of Public Health (MPH) so that students learn first-hand in the community. 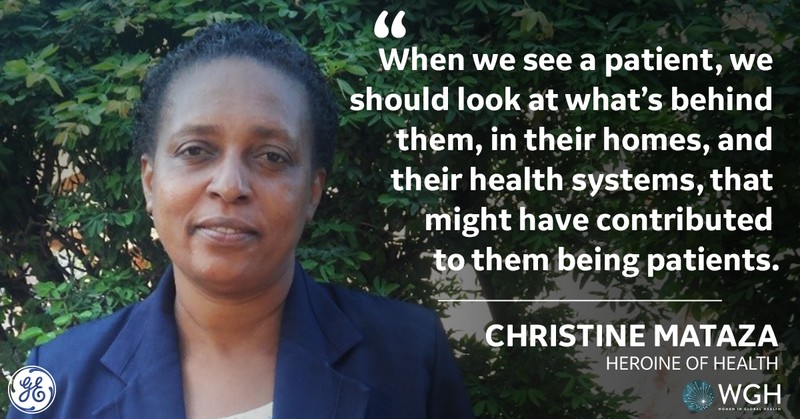 My colleague and friend of over twenty years, Professor Malabika Sarker, shares my vision to transform public health advocacy for developing world needs. 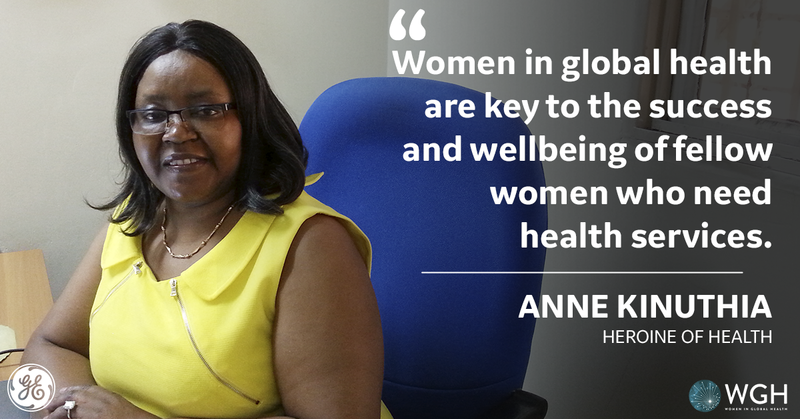 I have also focused on gender, sexual and reproductive health, and the health needs of people in urban slums. In 2008, I established a Centre for Gender and Sexual and Reproductive Health and Rights with seed funding from a UN organization, pushing for laws to stop child marriage; providing a safe space for LGBTQI communities and working to develop online resources on sensitive topics that bypass traditional gatekeepers such as parents and teachers. I also established the Centre for Urban Health and Equity in Dhaka, a city of 16 million with 5 million poor. Slum settlements remain invisible to the state – there is no comprehensive urban policy, and the poor lack housing rights, basic services, and suffer from the worst health indicators. Malabika: I teach, conduct research, and oversee research activities as Director of Research. I coordinate and teach various modules, such as the implementation research and a reproductive health course. I also lead the Center of Excellence for Science of Implementation and Scale Up committed to evidence generation. As a member of the senior management committee, I also oversee the finance and human resource in partnership with the Dean of the school. I regularly mentor 27 researchers working with me on several research projects. For several years, I also worked as a public health physician in BRAC, the largest Non-Government Organization in the world. After completing my doctorate, I startedworking as a researcher/teacher which I’ve now been doing for 13 years. How did you get involved in this work; what was your inspiration? Malabika: When I was 17, I got married. It was an arranged marriage. My husband and my father decided that I should go to medical school even though I was interested in studying Physics or Mathematics. 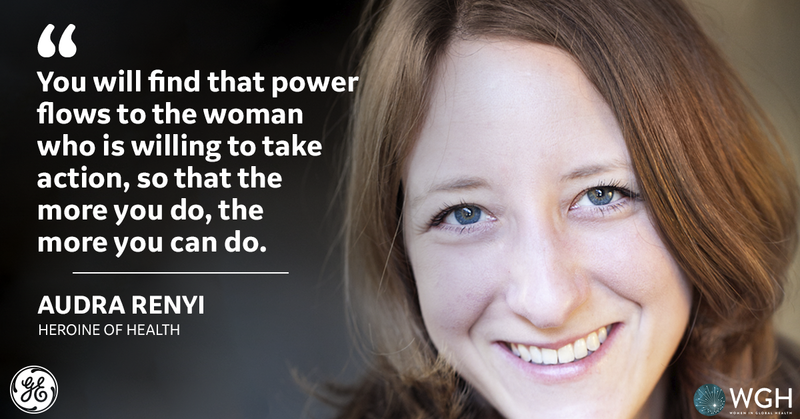 After a year-long training as an obstetrician and gynecologist post-medical school, I started my career as a community-based reproductive health programmer. One of my primary services was menstrual regulation (MR), which is what abortion is called in Bangladesh. I was surprised by the number of women who came for MR given the availability of free contraceptives. I realized that the availability of a service does not ensure its acceptability, and I became interested in the social factors which determine health. I then joined BRAC where I worked on a community-based maternal mortality reduction project, and so my journey in public health started. Sabina: When I was 23 years old I got a job at BRAC’s research division in a village called Comilla in Bangladesh. I’d never been to a village before and six months in that village changed my perception of the poor. They were kind and hospitable, welcoming me and my questions with humor and patience. They taught me that local practices were often pragmatic decisions, made with little money and with traditional home practices often the first line of healthcare. Solutions I’d read in books were not so easily applied in real life and I found that the actual needs and priorities in the community were not always heard. This was my motivation. Following this experience, I decided to do my Master’s in primary research on poor women who were using a type of female contraceptive implant in Bangladesh. Many remained uninformed of the implant, side effects and had to fight with doctors to have it removed. Malabika: When I was working for BRAC in Bangladesh, they launched a ‘maternity waiting home’ (MWH) for pregnant women from the remote villages who were diagnosed with complications or thought to be at high risk. In 1993, Banu, a pregnant woman was admitted to the MWH. 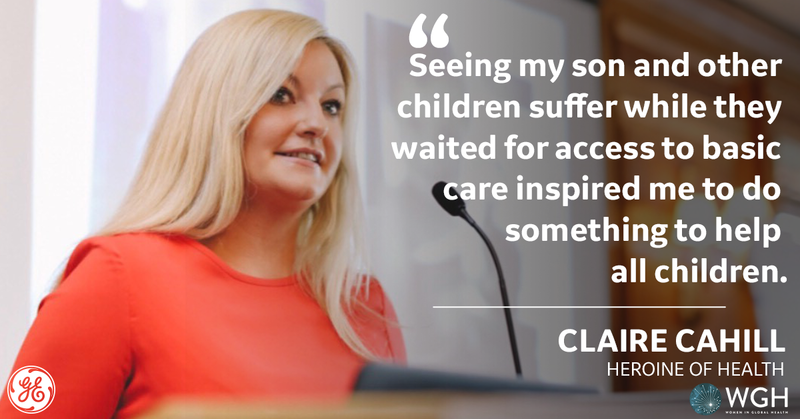 It was her ninth pregnancy and she had a history of abortion, stillbirth, and neonatal death. 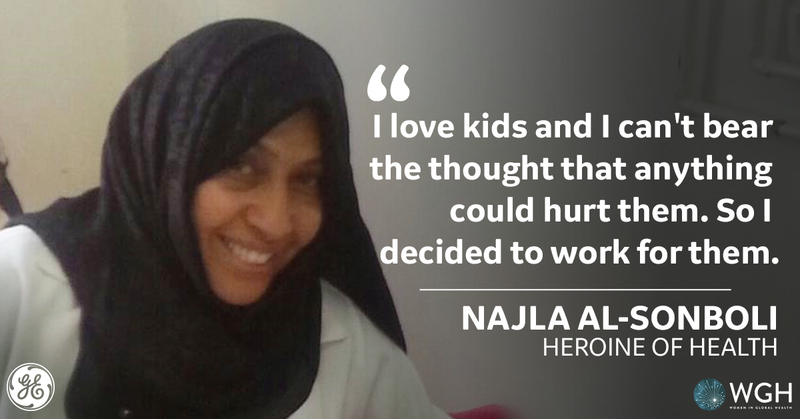 With four children, Banu was restless and kept talking about how her children would suffer without her. She left the waiting home after a day. Three days later, we got the news that Banu had been admitted to the hospital with obstructed labor. I ran to the hospital where I learned that the baby was dead and that Banu needed a craniotomy for delivery. Following the craniotomy, when Banu gained consciousness, she left the hospital and the nurses didn’t know where she was. We immediately went looking for her but by the time I reached Banu’s house, I received the news that Banu had passed away as she tried to walk the six kilometers. This was an extremely traumatic experience for me that made me realize the complexity and value of public health and how simply addressing the clinical need of a patient isn’t enough. Sabina: A life-changing moment for me that also solidified why I got into this line of work was when I spent 15 months conducting ethnographic research in slum settlements in Dhaka city, studying the lives of married and unmarried adolescent girls and their sexual and reproductive health needs. Adolescent women and their families there spoke of a constant worry that pervaded their daily lives and resulted in palpitations, insomnia, chest pains, fevers, and other ailments. I began to reflect on how their experiences challenge our dominant model of health interventions, which are biomedical and disease oriented. Do we often blame the poor for the lack of improvement in their lives, for not accessing appropriate services, or not being compliant about taking certain medications or for certain practices that are deemed as backward, without understanding their social worlds? 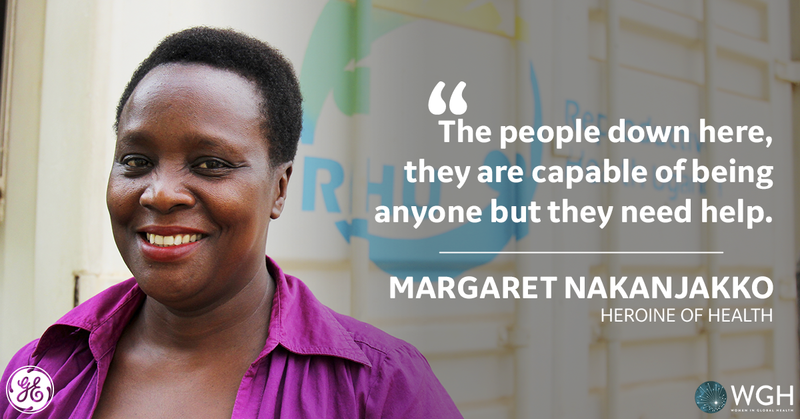 I realized that public health needs to have a comprehensive approach to meet the needs of the most marginalized. 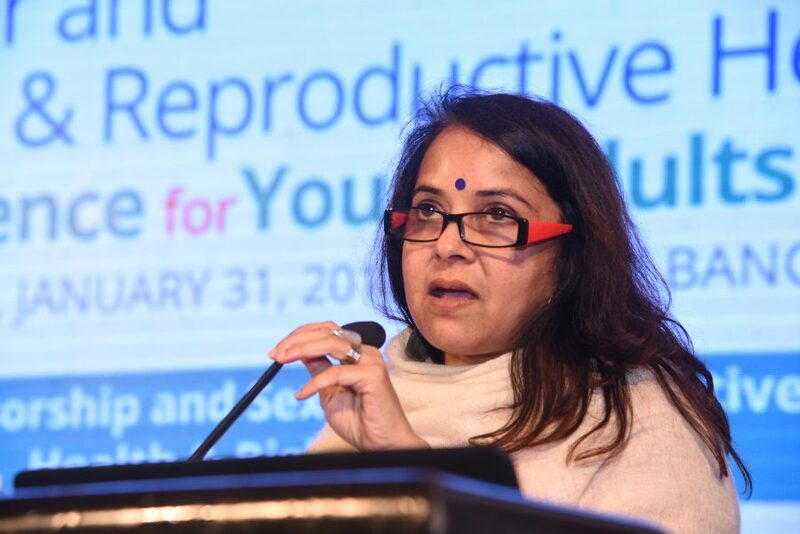 I also learned very quickly that reproductive and sexual health for many of the urban poor adolescent women was much broader; it was the absence of social, economic and political rights that impacted created adverse health conditions. I returned to Bangladesh and joined BRAC School of Public Health. Their mission was in alignment with my growing passion to work in an institution that was committed to improving the lives of disadvantaged communities, especially poor women and children. What’s the greatest piece of advice someone ever gave you? Sabina: Whenever I felt intimidated by the brilliant and inspiring individuals who I met, my father, who was always very supportive of me, would say: “Sabina, 99% is aspiration, 1% is inspiration”. Basically, that you don’t have to be brilliant to make a difference, just work hard, remain sincere, committed, and passionate about what you do, and your work will speak for itself. Malabika: “Be curious, engage, and involve”. 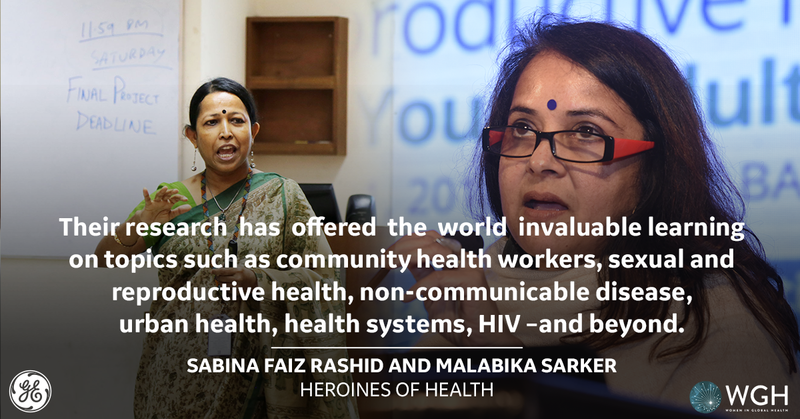 Professor Sabina Faiz Rashid and Professor Malabika Sarker are two of nine women being recognized at this year’s World Health Assembly as part of the Heroines of Health honors. Learn more about the 2018 Heroines of Health here. DHAKA, Feb 1 (Thomson Reuters Foundation) - Bilkis Begum has lived on the lakeside in Dhaka's Korail slum for 16 years, but in December 2016, her extended family's 12 houses were razed to the ground by a fire. The inferno destroyed the oven her husband, Shahid Gazi, used for his bakery and the fridges he relied on for his business selling leftover chicken meat from Chinese restaurants. For the Gazis, it was a struggle to cobble together the $3,000 they needed to rebuild their homes and business. They borrowed $900 from moneylenders, and found the rest from relatives and friends. They also got tin, pillars and a little cash aid from Bangladesh-based development agency BRAC. In addition, they received pro-bono help from architects like Sheikh Rubaiya Sultana, who helped redesign the neighbourhood to protect it better against future fires. 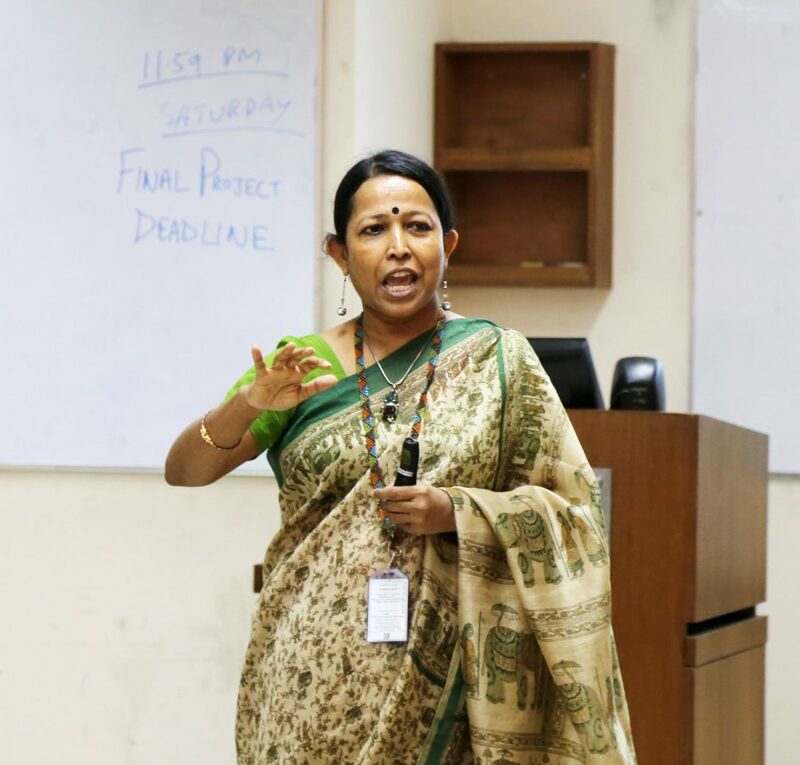 "Architects have social responsibility," said Sultana, an assistant professor at BRAC University in Dhaka. "I watched the fire before my very eyes, but couldn't do anything then." The Gazi family now has eight new units and the couple are back in business, running a small restaurant on the old site. "We couldn't have stood back on our own feet unless we got (this) support," said Begum, 32, a mother of three. A team of 16 architects, planners, engineers and students, brought together by BRAC, has tested out simple, cheap design solutions to rebuild Dhaka's two biggest slums after fires destroyed some 650 homes in late 2016, affecting 2,500 people. The new approach aims to tackle the ever-present threat of fires in Dhaka's crowded slums, while improving living conditions for residents. But in a city where less than 10 percent of areas are planned, altering the slumscape is a tall order. One major challenge is working out what is feasible for slum residents who have no legal rights to the land they live on. Ashekur Rahman, an urban programme specialist with the United Nations Development Programme (UNDP) in Bangladesh, said the transitory existence of many slum dwellers is a major impediment to keeping them safe from threats like fires in the longer term. Many are seasonal migrants who split their time between villages and cities, limiting their access to services and permanent accommodation. Government providers worry that improving services in informal settlements could attract more migrants from rural areas, Rahman said. "Weak and ill-defined land tenure and property rights pose big threats to resilience-building and are considered the underlying causes of the poverty and vulnerability of the urban poor in Bangladesh," he added. Sandwiched between Dhaka's upscale Gulshan and Banani neighbourhoods, Korail - which sprang up in the 1980s - sprawls over some 170 acres of land owned by three government ministries. It is home to as many as 100,000 residents, including rickshaw drivers, domestic helpers, garment workers and small traders. Fire is just one of the threats inhabitants face on a daily basis, which include eviction, drugs, crime, police harassment and extortion. After digitally mapping the fire-hit areas, the design team led by Dhaka-based J.A. Architects Ltd consulted with residents who each agreed to give up a tiny amount of space to widen access roads and narrow lanes so that fire trucks and ambulances could enter if another blaze breaks out. The group of experts was appalled by the unhygienic conditions in the slums. In summer, the tin shacks are "like ovens", said Shamim Hossain, a manager with BRAC's urban development programme. To improve living conditions, the team made modifications to dwellings, such as adding windows, wire netting and transparent plastic to let in air and light. They also helped rebuild homes in Sattola slum, which suffered a major fire in December 2016 too, destroying 115 homes in just 10 minutes. Made homeless overnight, residents had to pass more than three cold winter months under the open sky. In the slum, which is home to 50,000 people and located on land belonging to the health ministry, residents have since built concrete houses with green tin roofs to reduce losses in the event of a fire - despite the risk of eviction as the government plans to build a physiotherapy college there. The new design has allowed some homeowners to afford a luxury - a communal area – as well as an upstairs. In the family space, where children play and adults gossip while sipping tea, Rabeya Akhter recalls how she clambered out of the house when her brother-in-law shouted "Fire! Fire!" just after midnight on December 12, 2016. Her family lost valuables worth about $600 when their TV, PC monitor, wardrobe and other furniture burned to ashes. They managed to get credit of more than $3,600 to rebuild their home, mostly from Dhaka-based micro-finance institution DSK. Shah Alam, who co-owns a two-storey home, has used metal netting for corridor walls and plastic roofing in parts to ensure it is ventilated and well-lit – an idea partly his own and partly from the volunteer architects. Like Akhter's father-in-law Siddiq Howladar, 70, who moved to Dhaka from the southern island-district of Bhola, many of Sattola's residents migrated from coastal Bangladesh, where land erosion and floods are common, poverty is pervasive and jobs are rare. Dhaka alone attracts an estimated half a million rural migrants seeking employment each year, according to the World Bank. Almost one-third of its population of 18 million lives in slums. Government figures show some 20,000 fires occur annually in Dhaka. But the cause often remains unknown, and the blazes get little international attention. Residents of the capital's Kalyanpur slum suspected a fire that gutted dozens of homes in early 2016 was started deliberately to remove them from land owned by the ministry of housing and public works, local media reported. It happened a day after a court order to halt an eviction that had sparked violence between inhabitants and police. Abu Obaidur Rahman, a lawyer with the Bangladesh Legal Aid and Services Trust, told the Thomson Reuters Foundation the fire had "accelerated the eviction process", although the Dhaka-based charity had no evidence of who started it. "Slum dwellers are citizens of this country and they make a contribution to the city," he said. "The government has the responsibility to rehabilitate them." While the transformation of parts of Korail and Sattola has made residents less vulnerable to fires, the thorny question of land tenure persists. City councillor Mofizur Rahman described Korail's residents as "temporary" and said they would have to vacate the land when the government starts to build an IT park there. Under a new programme to reduce urban poverty, the UNDP aims to resettle people on unused or under-used government land, and broker medium-term tenure deals between private land owners and tenants, said the agency's Rahman. Hossain Zillur Rahman, executive chairman of the Power and Participation Research Centre, a Dhaka-based think-tank, believes urban policy must become "humane" so that slum dwellers can get more secure land tenure. Supporting reconstruction in the fire-hit slums was the "right decision" but it did not advance residents' legal rights, he noted. For now, Korail and Sattola are "more liveable than before", said BRAC's Hossain. "It's a start," said architect Sultana. "Others can follow it." BRAC on Saturday said it has set a target to support 4.5 lakh ultra-poor families across the country by 2020 to complement government's effort to eradicate extreme poverty. BRAC's endeavor in this regard was projected at the 'Development Fair 2018' that the world's largest non-government organization took part. The three-day fair rounded off today at the National Shilpakala Academy in the city. BRAC showcased its range of programmes implemented for poverty alleviation and development at the fair. Among its programmes, Targeting the Ultra Poor (TUP) was specially focused in the event for its dedicated work since 2002 in stamping out extreme poor. Brochures describing the TUP programme activities, leaflets explaining its role in the achievement of country's Millennium Development Goals (MDGs) and booklets profiling the families successfully graduating from ultra-poverty were among the materials displayed at the BRAC stall at the fair. Through its TUP programme BRAC provided assistance to over 17 lakh families in 47 districts from 2002 to 2017 to recover from ultra-poverty. In 2018 TUP is being implemented in 210 upazilas of 43 districts, BRAC said on Saturday. Current allocation under the programme for each participating family is roughly Tk. 40,000. As Faaland-Parkinson rightly observed, Bangladesh did not have the adequate base of large-scale industrial and agricultural production or mineral resources of high value for taking the mainstream path to development. The nation therefore cut its own unique path, which closely tied social development with economic progress. Income generation for poor households through small initiatives, earning opportunities for families living in extreme poverty, huge migration from low-income groups for wage labour abroad, increasing the involvement of women in income-generation activities, increased disaster preparedness, around hundred per cent children enrolled into primary schools, reducing the size of the average family, a number of outstanding successes in health - including eradication of polio and smallpox, prevention of night blindness, controlling diseases like tuberculosis and diarrhoea – all these apparently smaller and unremarkable successes and achievements brought a sustained change in the life of millions of people living in poverty. The combined impact of the changes is reflected in national progress indicators, as well as in fulfilling the country’s MDG target of bringing poverty rate down to 29 per cent three years before the target. Having reached this juncture, where Bangladesh is poised to make an even greater leap towards economic prosperity, some have argued whether NGOs have anything more to do in this country. The reality is NGOs are no less important in current Bangladesh than they were any time in the past. The USA, with all its prosperity, has more than 1.5 million active not-for-profits. With socio-economic changes, the nature of social problems will change shape. The key challenges we see now in Bangladesh are rapid urbanisation, quality education for the 21st century, climate change, youth employment, increasing inequality, huge lifestyle changes and their psychological consequences. The impact of these factors will only intensify in the coming years, and the nation will need to be adequately prepared to tackle them. Not-for-profit social organisations will play a big role in tackling them. BRAC's social enterprises have proved that intelligently-developed commodities and services can play a strong role in social good. Aarong, BRAC’s flagship social enterprise initiative, not only involves 65,000 artisans across the country, but its training centres have also provided a platform for thousands of skilled people to become independent entrepreneurs for the last four decades. Aarong’s profits are partly channelled for the growth of the enterprise and partly support BRAC’s other social development initiatives. Our government needs to bring NGOs as part of their Annual Development Plan implementation activities and for good reasons. The government's present target is to achieve the status of an upper-middle income country by 2030-31. This will require the per capita income to rise to an ambitious USD 4136. This target has to be combined with the Sustainable Development Goals to ensure equity-based progress. The government has planned the process out in the current seventh 5-year plan. Many challenges make this a tough target to achieve however -- the major ones being reduced donor assistance, bureaucratic hurdles, delayed implementation of projects and a lack of innovative models for solving social problems. Utilising NGOs' capacity of innovation, programme implementation and grassroots mobilisation can be an important tool for the government in ensuring equity-based development. There are already ample examples of GO-NGO partnerships in our country. The government's partnership with the ICDDR,B and BRAC to spread the oral saline formula to the grassroots is probably the best-known of these. In a more recent example, 23 NGOs are working in a government-led partnership to rid the country of TB. These GO-NGO partnerships are happening only in the donor funded projects though. It is time to involve the social development organisations in the national revenue funded programmes also. It is the centuries-old tradition of working for the common good with a voluntary spirit that lies at the heart of forming NGOs or any other social organisations. Their necessity does not end with whatever great progress a nation or society achieves. The hundreds of NGOs that have been serving Bangladesh's people for decades are expected to continually adapt to the changing realities and needs. The government should also come forward to become part of the solution and embrace them to increase the effectiveness of both parties. As one of the country's major development actors, our demand is equity-based growth for our country. To avoid the risk of Bangladesh’s economic growth creating massive inequity, NGOs will continue to be relevant. The question is whether we are willing to evolve and are ready to do such partnerships. The number of women driving, in both professional and non-professional capacity, is quickly increasing as employers feel more secure with them. Brac Driving School in Dhaka has taken up initiatives to train women as drivers for free, who then go on to get jobs different NGOs, other organisations and privately-owned vehicles. Many women are stepping into the world of driving both as a necessity and as a hobby, said Traffic Police officials, adding that women tend to drive carefully on the road. Dr. Mushtaque Raza Chowdhury, Columbia University Mailman School of Public Health professor of population and family health, was nominated by the U.S.-based Ronald McDonald House Charities for its 2017 “Medical Award of Excellence”. The award is given for outstanding contribution to improve the health and wellbeing of children. Dr. Mushtaque Chowdhury, who joined the Mailman School in 2004, is also vice chairperson of the non-governmental organization (NGO) Building Resources Across Communities (BRAC) in Bangladesh, which is particularly concerned with poverty alleviation, education, and health. 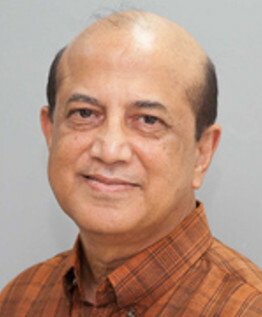 He is the founding dean of BRAC University’s James P. Grant School of Public Health in Bangladesh and also founded the Research and Evaluation Division of BRAC. With over 50,000 full-time staff, BRAC is one of the largest non-governmental development organizations in the world. Dr. Chowdhury is also a board member of South Asia Centre of London School of Economics, president of Asian Action Alliance for Human Resources in Health (AAAH) and lead group member of UN’s Scaling Up Nutrition (SUN) Movement. In addition to his ties to Bangladesh, Dr. Chowdhury has worked internationally in Pakistan, Nepal, Thailand, China, and Ethiopia. From 2009 – 2012, he served as senior advisor at the Rockefeller Foundation, Thailand, overseeing the health portfolio of the Foundation in Asia. In 2013, the Lancet published a profile of Dr. Chowdhury. Among the previous winners of the Medical Award of Excellence are former U.S. president Jimmy Carter, former U.S. first ladies Barbara Bush and Betty Ford, Health Minister of Rwanda Dr. Agnes Binagwaho and Queen Noor of Jordan. Currently, the charity is working in more than 64 countries and regions in the world to ensure children’s healthcare and wellbeing. The award will be presented to Dr. Chowdhury at a gala in Chicago on Nov 11. To honor Dr. Mushtaque, Ronald McDonald House Charities will present a grant of $100,000 to a non-profit organization selected by him. "When I began working with farmers struggling with poverty in 1972, I was a young accountant, fresh from a job in the finance department of Shell Oil. I had lofty ideas of how I could help transform our new nation, Bangladesh, which was then one of the poorest countries on earth. I thought that if we could empower the poor by providing services like livelihood training, literacy classes and health and family planning, they would be able to vanquish the extreme poverty and hunger they had endured for far too long. The world was quite a different place then. Bangladesh had gone through a bloody war for independence, and the world’s great powers were locked in a struggle between freedom and totalitarianism. The Green Revolution was still in its infancy, but we knew the vast promise it held for it had already delivered spectacular increases in cereal crop yields in India, West Pakistan and the Philippines; for this, Norman Borlaug had won the Nobel Peace Prize in 1970..." Read full article here.